The periodical of Llandovery School that mainly published school news. Amongst the periodical's editors were Edward James McClellan, T. H. Ward Hill and D. Joshua Evans and at different times it was published annually, biannually and triannually. 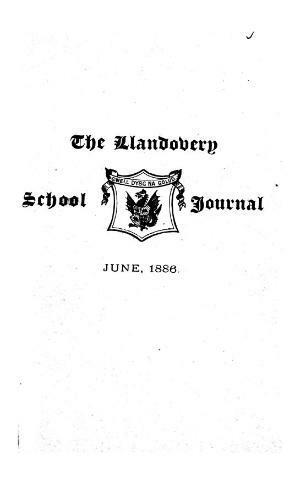 Associated titles: The Llandovery College Journal (1878); The Llandovery School Journal and Old Llandoverians Newsletter (1993); The Llandovery College School Journal (1999).